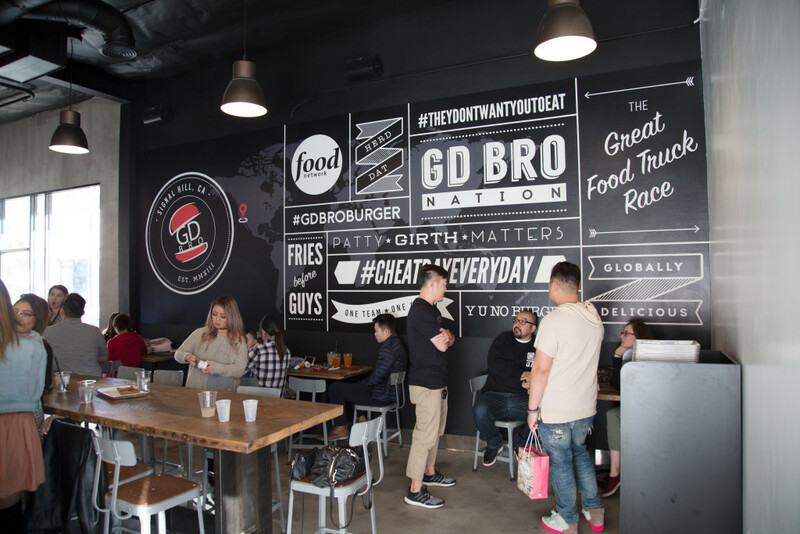 Last week I was invited to a media preview for GD Bro Burger in Signal Hills, California. This is their second brick and mortar location, the first is in Santa Ana. 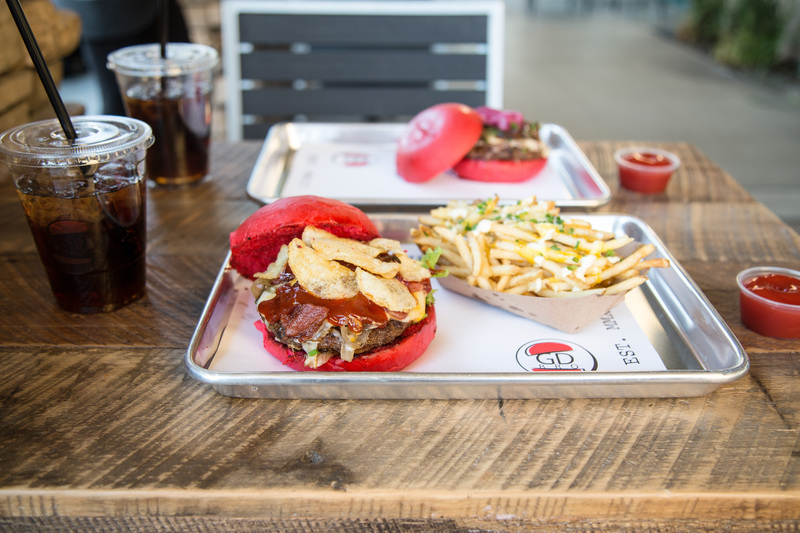 When I saw the invite, I was excited to finally get a chance to taste the famously Instagramed red bun burgers. 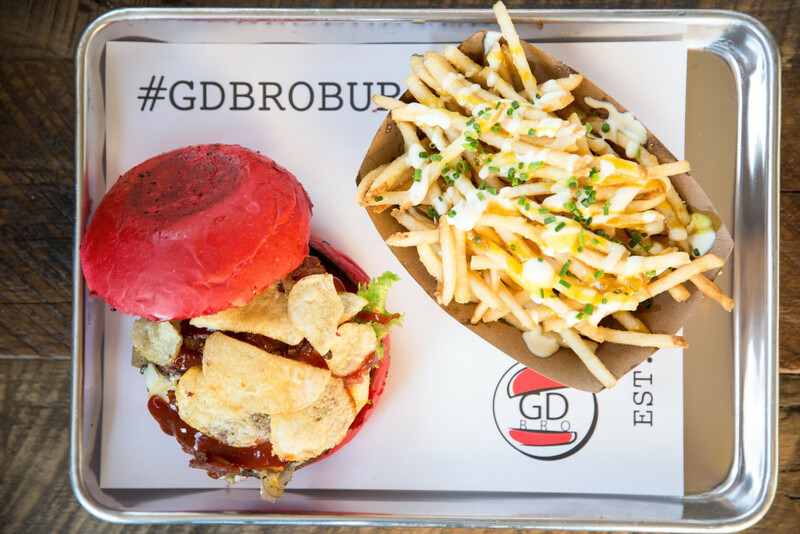 GD Bro Burger started as a food truck, was on the Food Network’s The Great Food Truck Race, and now is opening their second restaurant location. We ordered the All American Burger and the KBB Poutine Burger and a side of Truffle Fries. Unfortunately the milk shakes were unavailable at the time of the media preview. While the staff at the counter was warm and friendly and super helpful, the hour long wait for the burgers killed the mood. It wasn’t only the hour long wait to get to eat at a burger joint that irritated me, but the fact that there were 7 people working the grill. When someone finally asked if we had received our food, 45 minutes into the wait and I replied “no.” The apparent manager/ owner/ investor ran off to check and came back to inform me I only had to wait for two more orders before mine was next. Well… Hubs could have told me that and did tell me that via text as he was standing watch for our food and I was guarding our table outside as the sun set. I have never been a manager of a restaurant, but I have worked my fare share of them from Chinese take outs, fancy over priced diners, tourist traps, concert halls, catering, and even Starbucks. While it is understandable to have difficulties before an opening, you never want to return to a customer who has been waiting an hour for their food with nothing more than “oh only two more orders, then your’s is next.” There was no apology, explanation, or question as to why or how this wait was appropriate for 2 burgers and a side of fries. 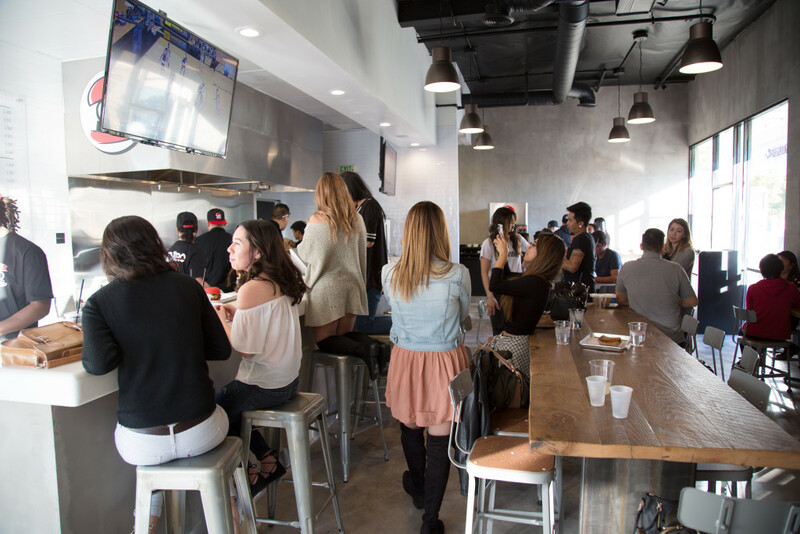 By the way, there are no servers, you get up and pick up your burger at the counter. These are gourmet burgers, but not a gourmet establishment. If the manager had just apologized for the wait or offered to bring out the fries or anything while we continued to wait, I would have understood and moved on. What really shocks me is that this was a media event. 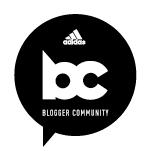 We were there to review the place! The burgers were delicious and I was really impressed with the KBB Poutine Burger’s rich flavors. The mix of beef and Korean BBQ short ribs was incredibly flavorful and fatty in a taste explosion. A combination that is unexpected, but makes perfect sense once you try it. The fries were cold by the time we got them, so while the flavors were good, the cheese was rubbery and I didn’t eat much of it. My biggest pet peeve with food is when it’s cold, especially after an hour wait. The soda fountain needed to be calibrated, the mix of syrup and CO2 was off. You can thank my many years growing up in a movie theater to the know the difference. While I understand the hype over the food, I’m not sure it’s worth the time or effort to pay a visit. If you happen to walk by and there’s no line, give it a try, but steer clear during rushes or you might go hungry by the time your lunch break is over. We were so put off by the time our food arrived, we barely took any photos because I just wanted to eat and leave, plus I was freezing by this point since the sun had started to set. 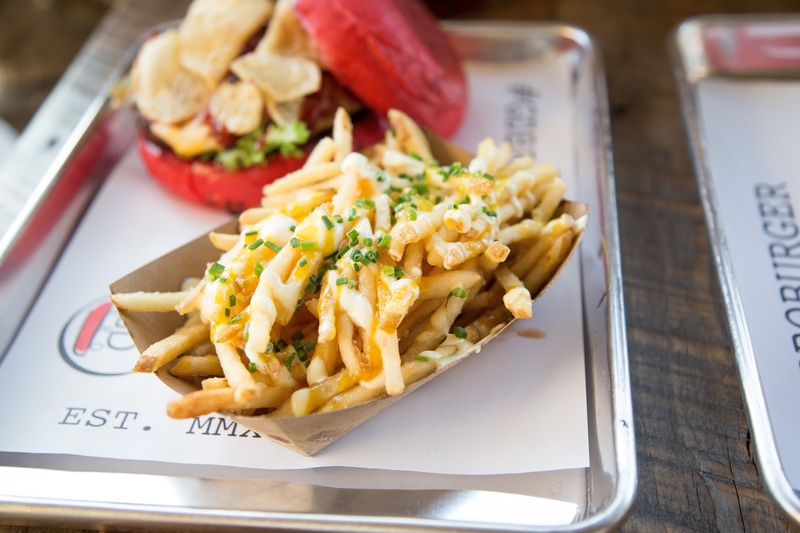 What are some of your favorite burger joints? I’d love to know in the comments. I personally am a fan of Red Robin. I’d love to try this place but my guess is they’re quite a ways off from coming to West Texas. Oh the Red Robbin bottomless fries are a great deal!